I’d heard over and over again that Lethem, that little town on the southern border of Guyana was the place to be for Easter. However, since I had just visited Lethem, I knew I wasn’t going to be making the 14 hour overland journey again so soon. 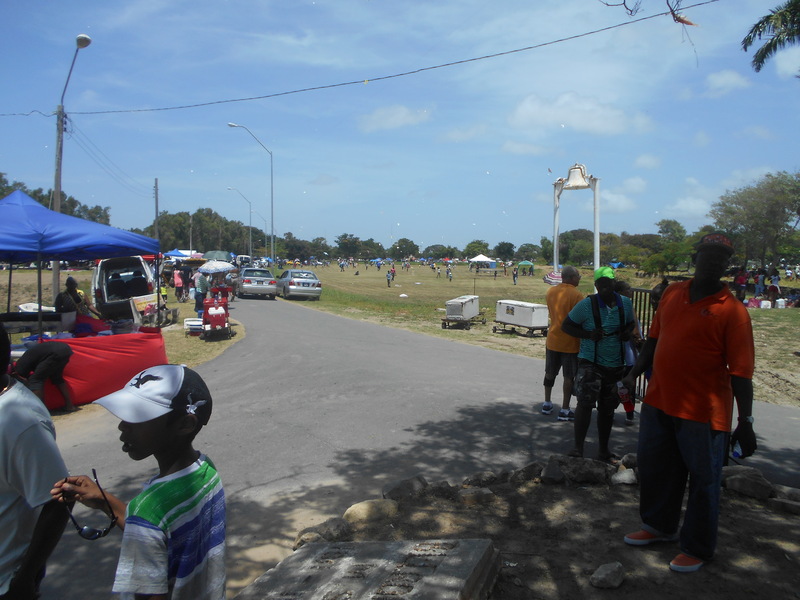 Since going to Lethem was out of the question, I remained in Georgetown for Easter weekend, which was a site of its own. Easter weekend was a relatively normal weekend, just a few days longer than usual. I rode out to the orphanage on Friday just to see what the boys were up to and I went swimming with them on Saturday like normal, too. Easter weekend was surprisingly quiet around GT. I would have guessed it would have been crazy for four days in a row, but I was mistaken. The city took on the “Sunday feel” which I have grown to love so much. 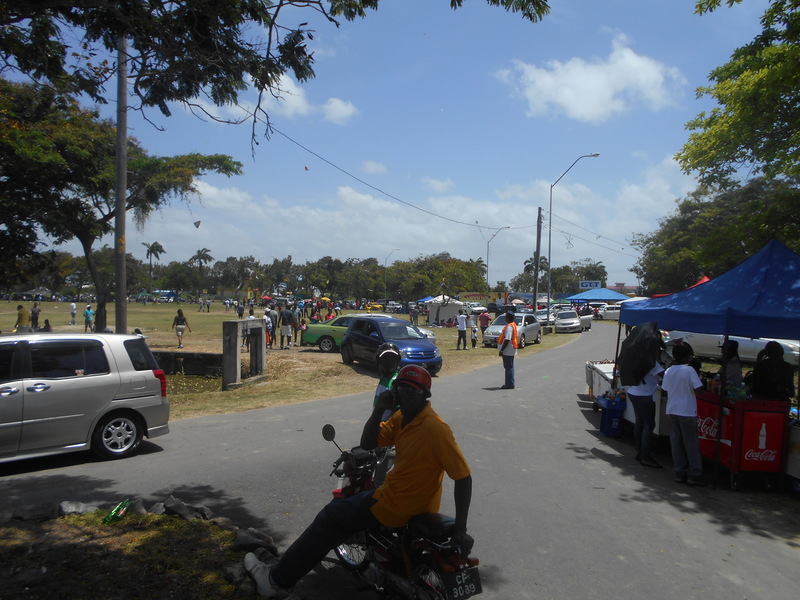 Few cars, few people meandering around. It was nice. 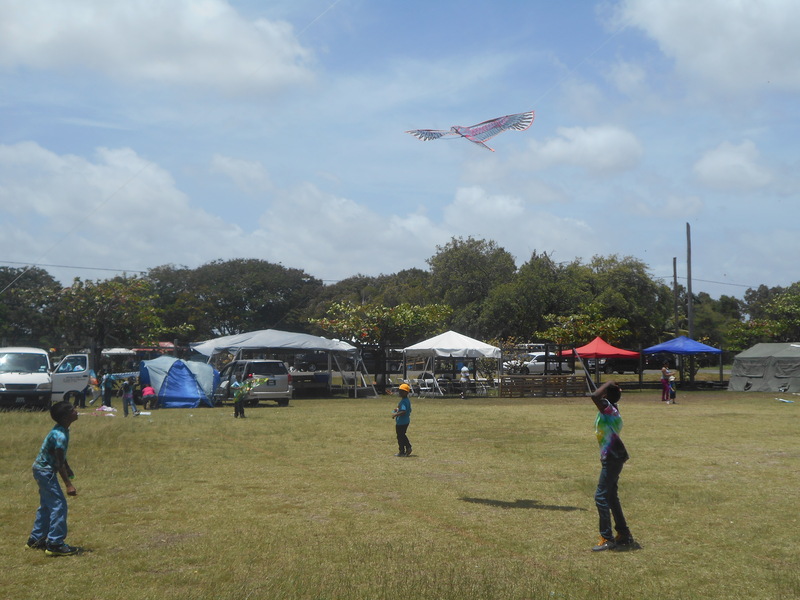 Easter Monday in GT is known for the large number of people that head to the parks and to the seawall to fly their kites. 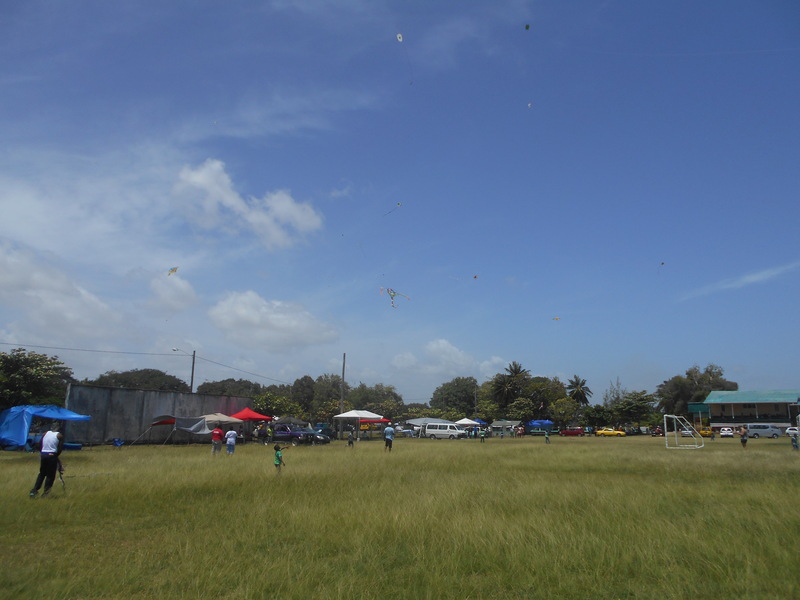 I’ve never in my life associated Easter with kite flying, but in Guyana, just about everyone knows that when Easter roles around, you better be digging out your kite so you can participate in the fun. The other volunteers and I headed to one of the parks around ten in the morning and spent the morning and early afternoon with the younger boys from the orphanage, all of the guys under the age of ten. 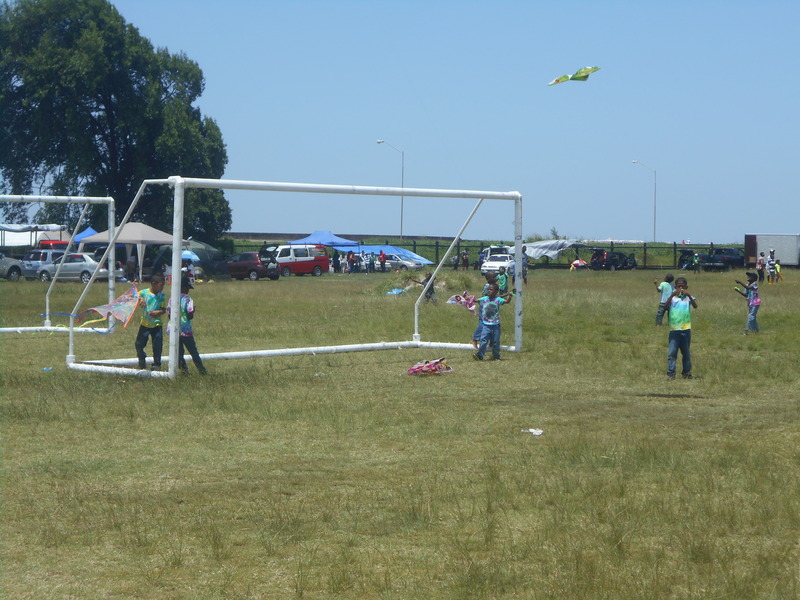 They each were given a kite and let lose to run around and play in the park. It was a lot of fun. 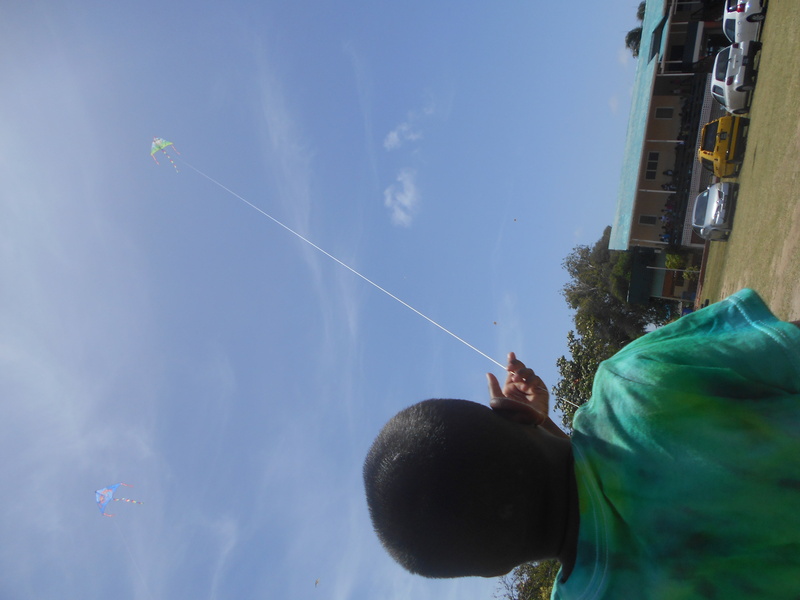 I have forgotten how much fun it is to get kites up into the air. 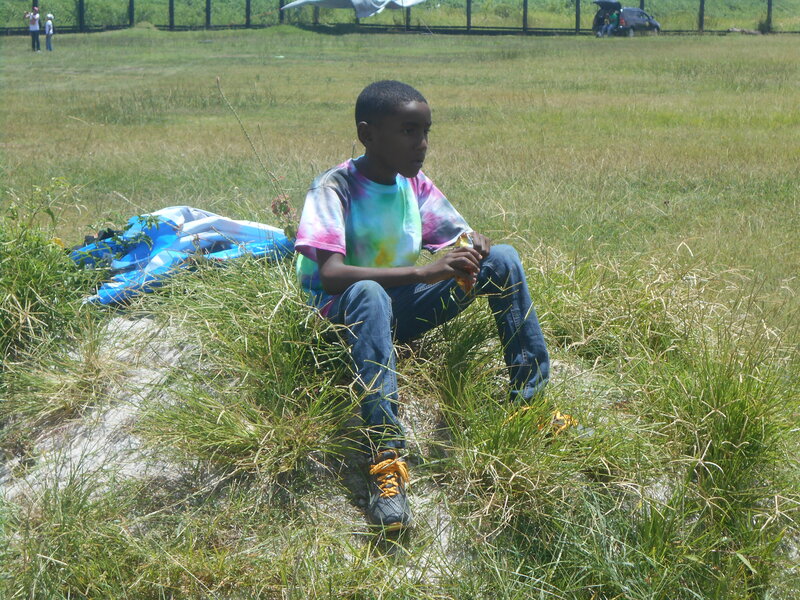 For the most part, the boys did a really good job flying the kites. When the kites wouldn’t work exactly how they wanted them to, they would troubleshoot with one another until the problem was solved. I ran around a bit, untangling strings and lifting kites into the air for initial take-off, but the boys basically had the whole thing under control. I, of course, had SPF 70 smothered all over me, but the sun was still brutal, so I tried to pay attention to shaded areas that I could stand under when the opportunity presented itself. For me, it was an unconventional Easter. 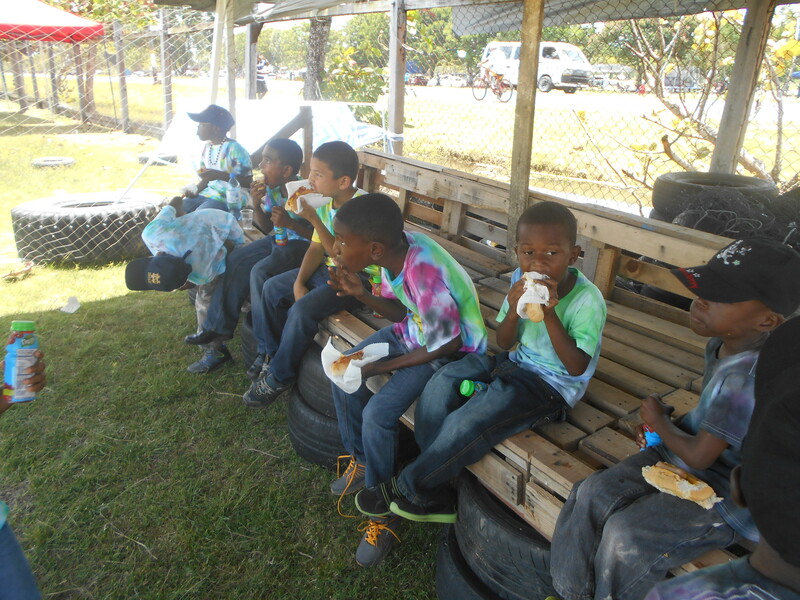 But this is what Easter is in Guyana. Easter Monday exists for kite flying. That’s why thousands of people were out that day and that’s why, when I looked up into the sky, hundreds of kites were decorating the sky. It was a great day. This entry was posted in Guyana, South America. Bookmark the permalink. 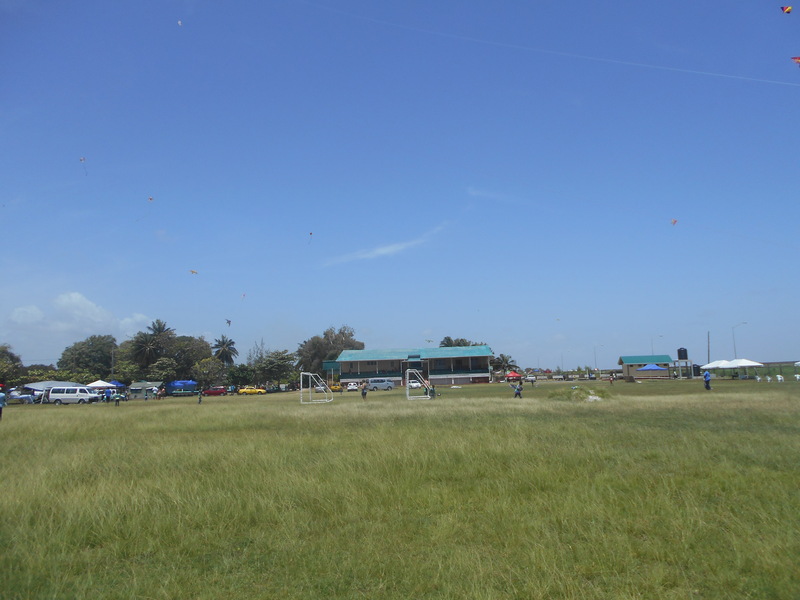 All those kites in the air muct have been beautiful.